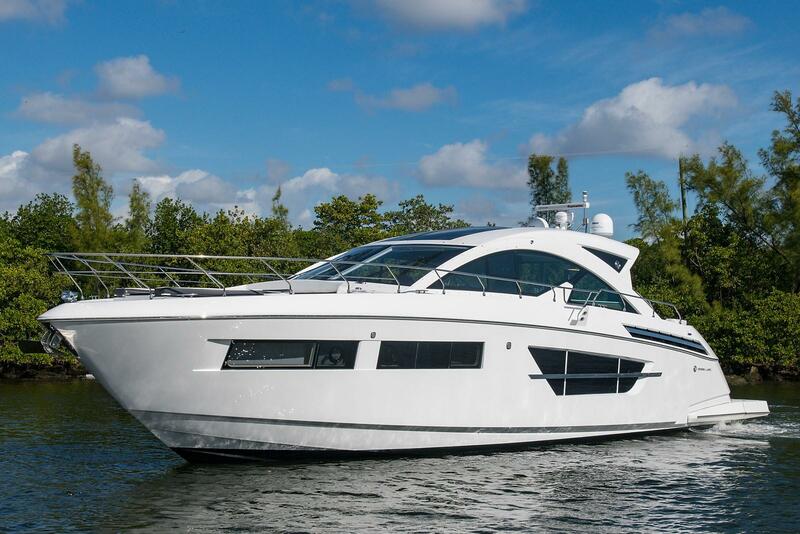 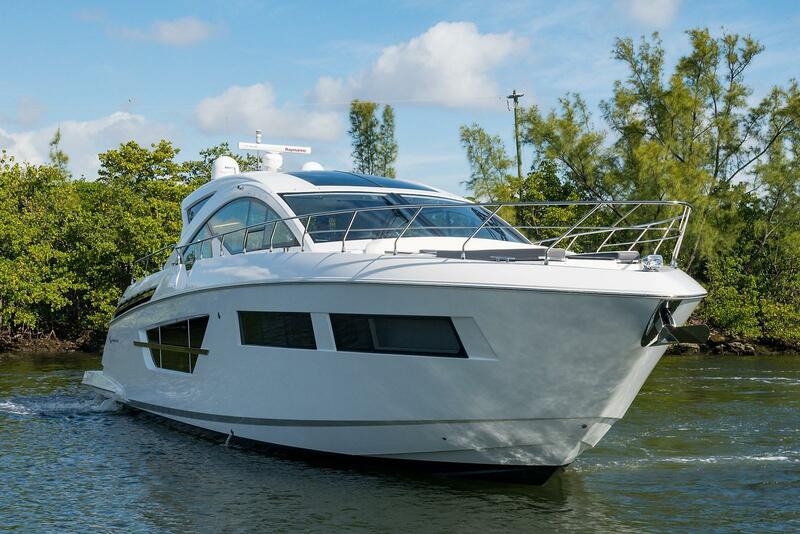 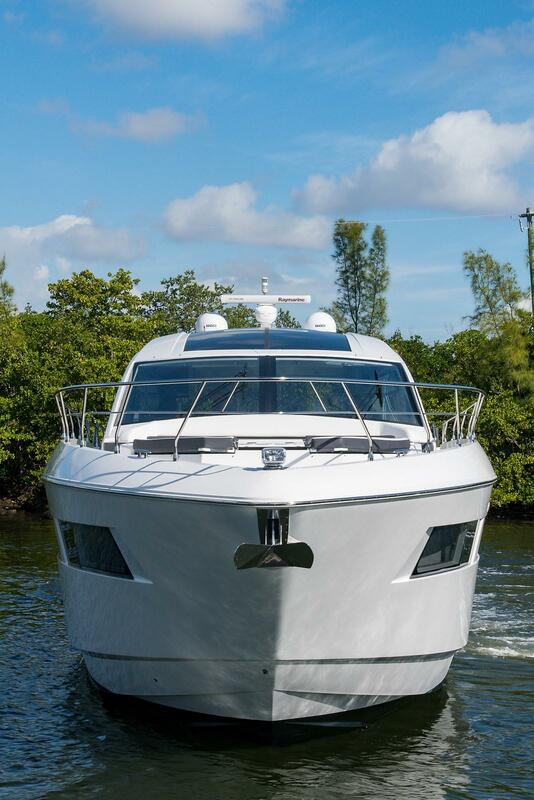 2016 Cruisers Yachts 60' Cantius "TIMETOGO"
This 60’ Cruisers Cantius “TIMETOGO” has been very well maintained and features a great layout with 3 staterooms, full beam master, large salon and galley up with pass through window and 2 barstools on aft deck. 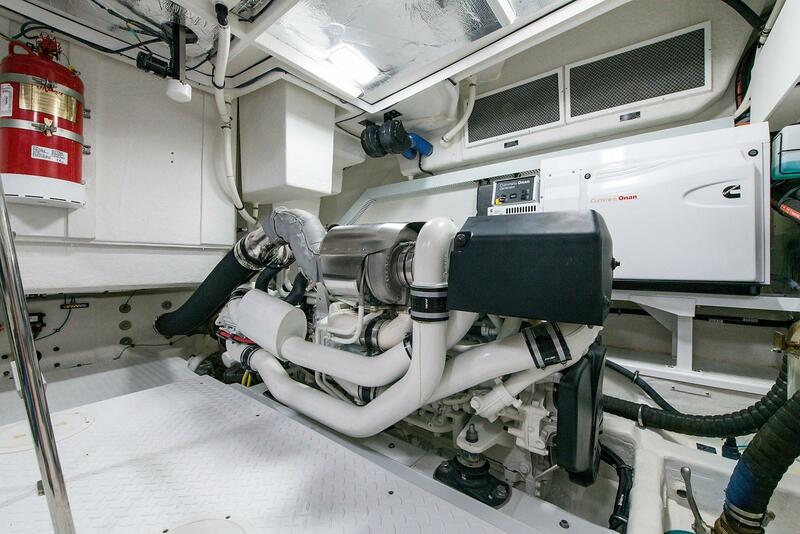 Only 90 hours on the Volvo IPS 950’s! 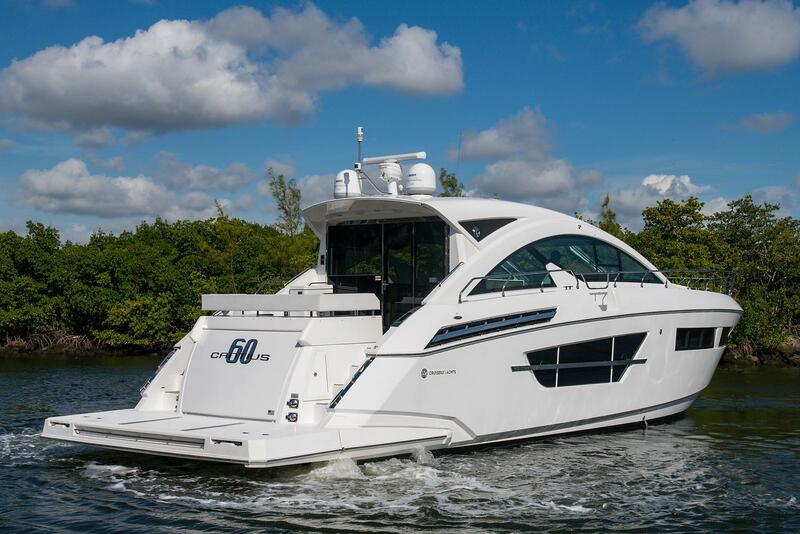 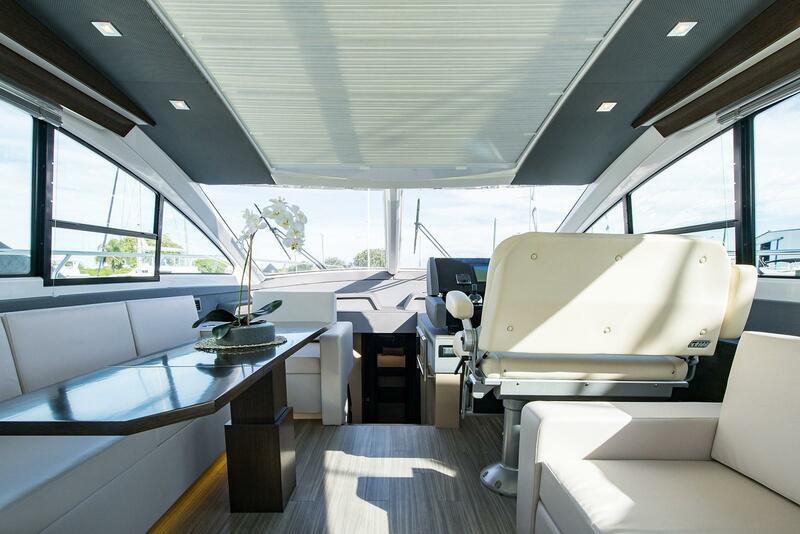 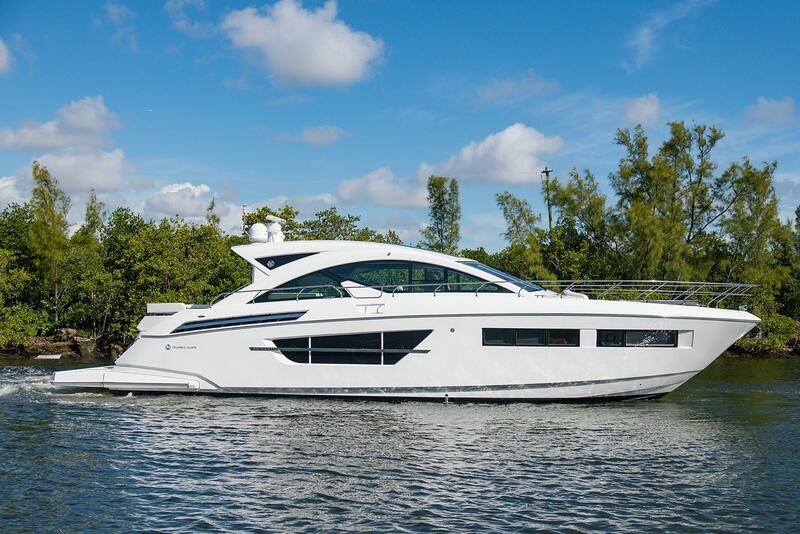 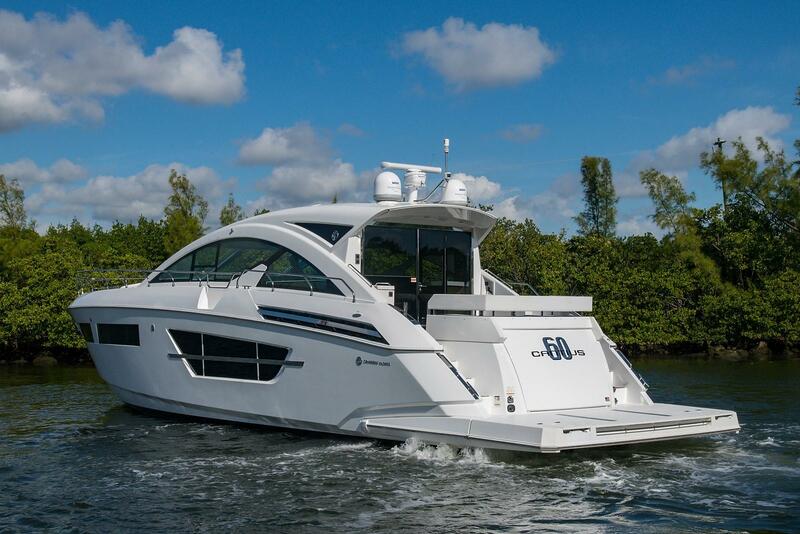 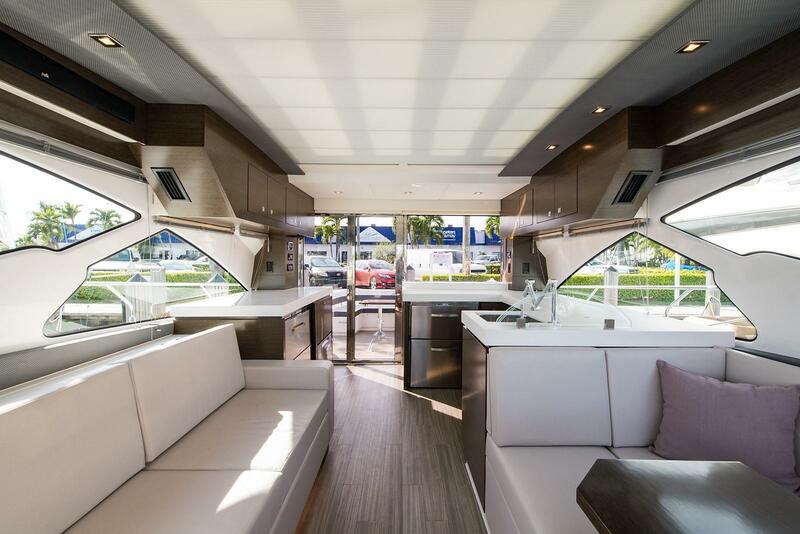 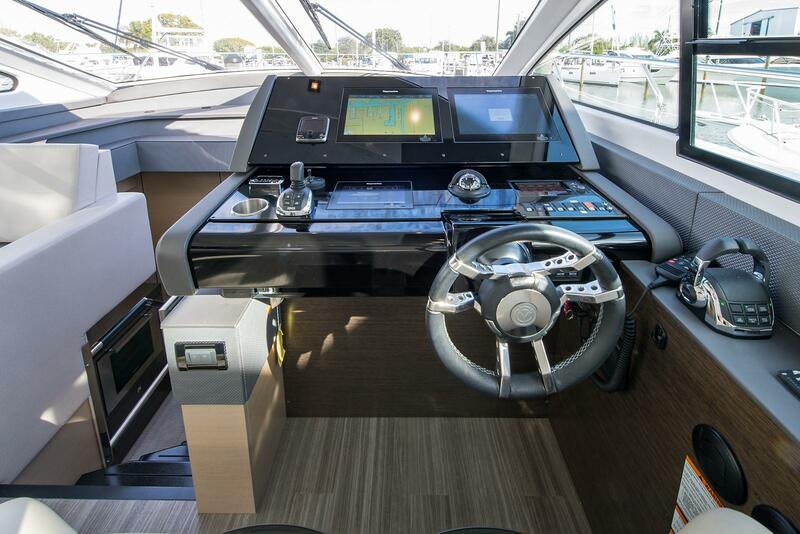 The 60 Cantius from Cruisers Yachts is literally a game changer. 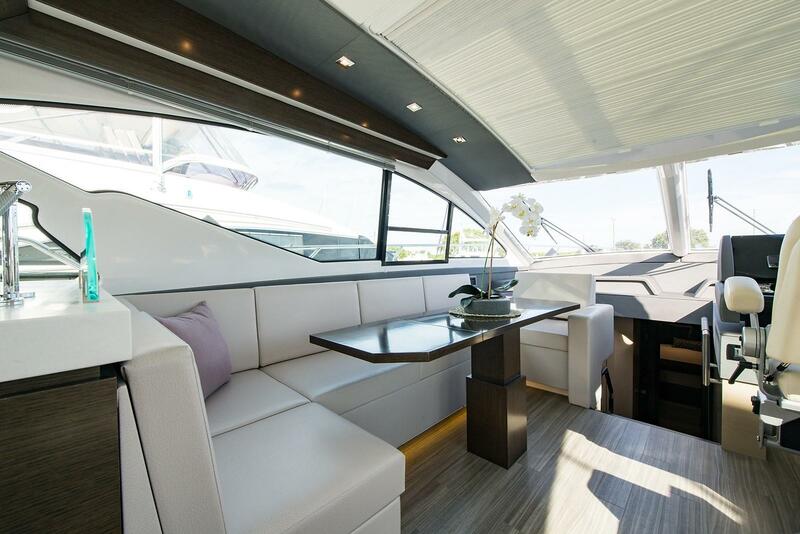 The largest of the Cantius line, Cruisers has built a vessel that not only turns heads, but handles amazingly well. 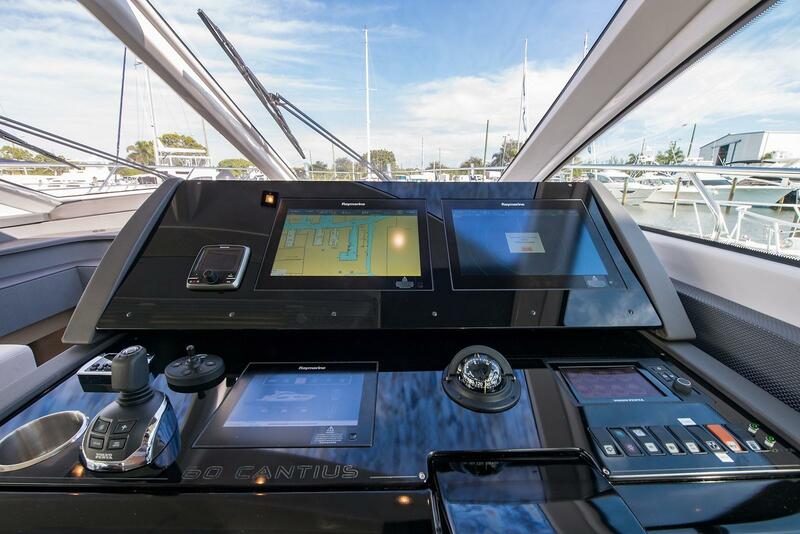 When our team test drove the vessel at the factory recently, the boat easily cruised at 30 knots with almost 20 people on board! 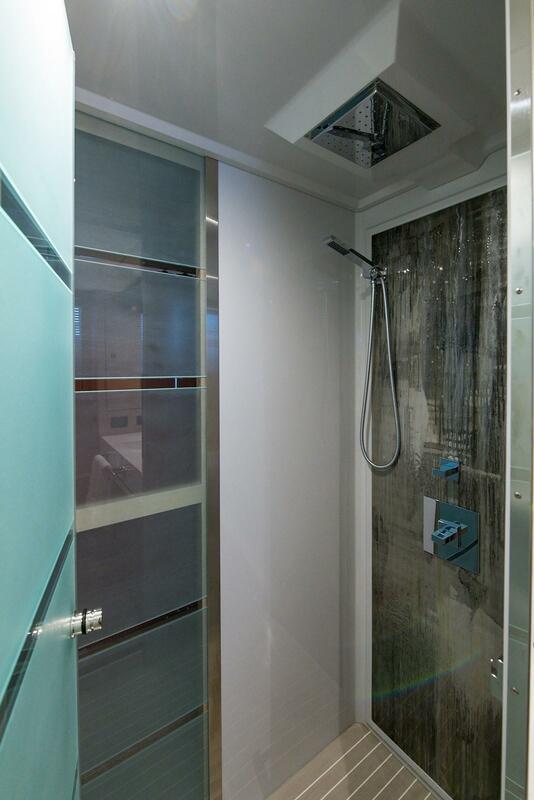 Needless to say our team was impressed. 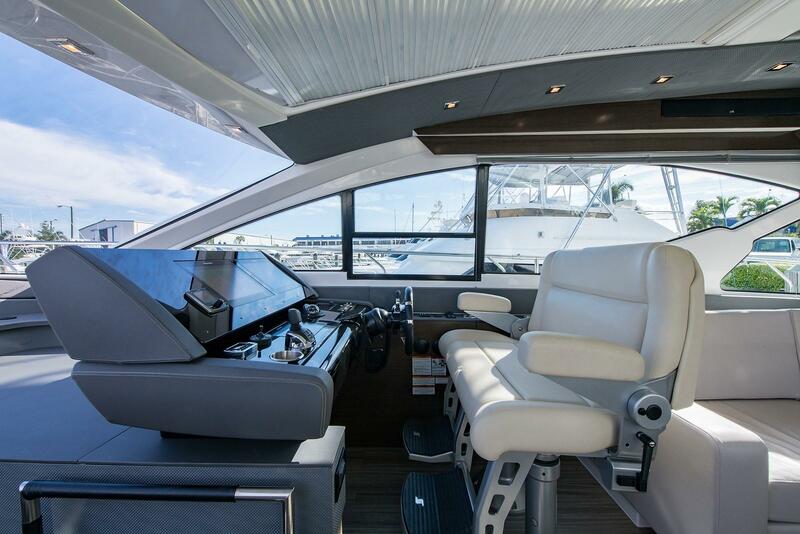 The inside of the boat feels huge in the 16' beam. 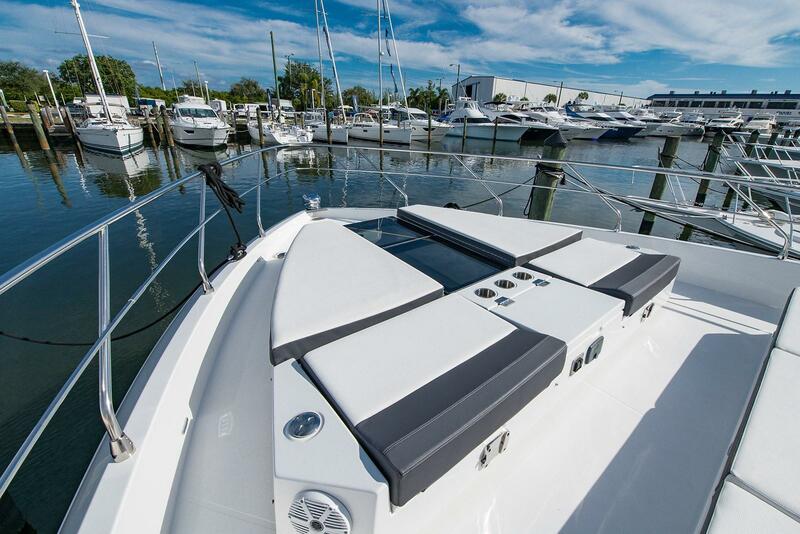 The configuration of the sun pad on the bow was a huge hit as the details allow for a more comfortable ride. 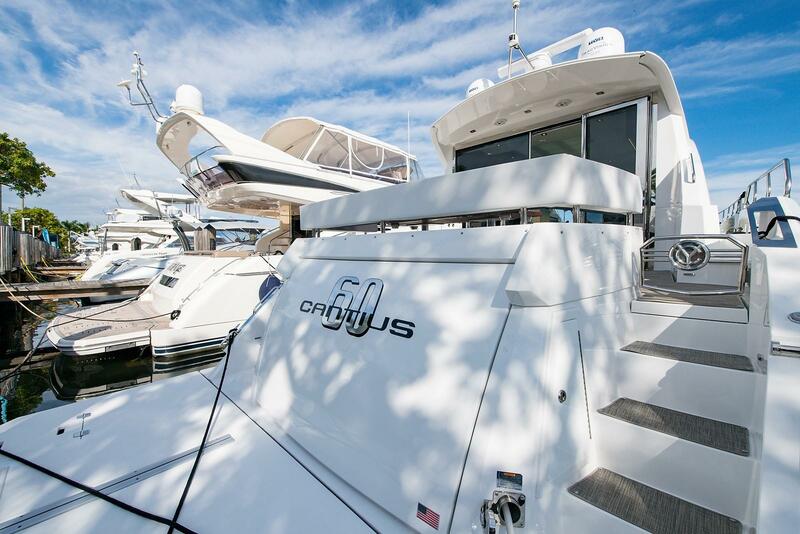 Leave it to Cruisers as well to partner with two excellent design firms in addition to their own crew. 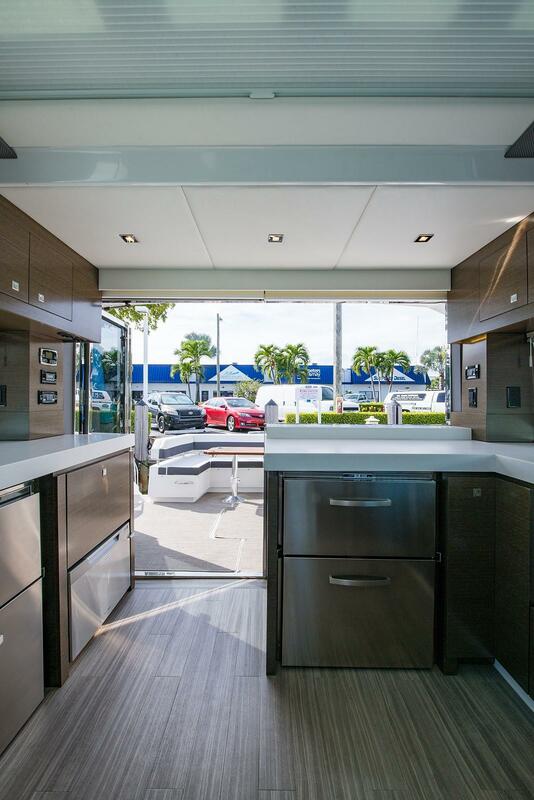 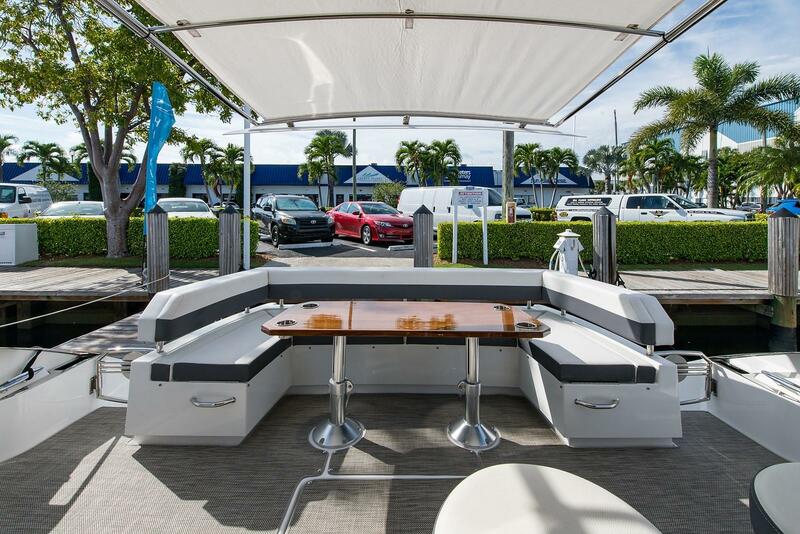 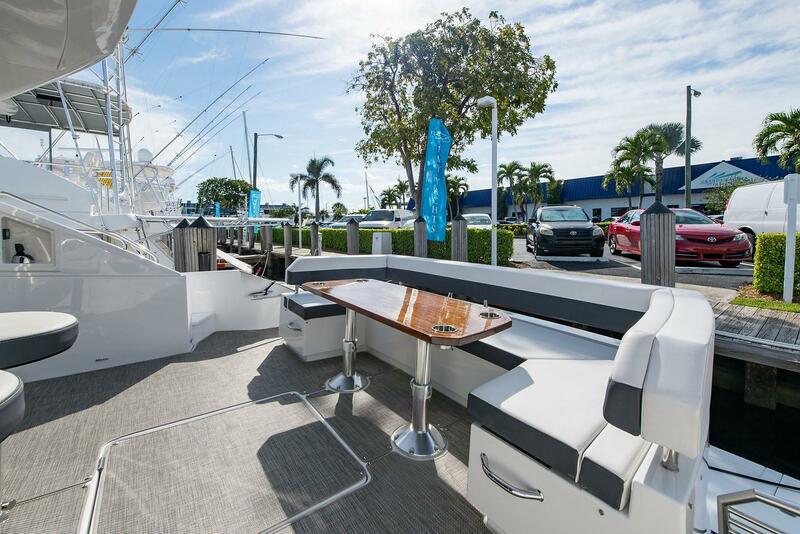 Facheris Designs in Sarasota, Florida partnered with Cruisers on the exterior while DeBasto Designs in Miami partnered with them on the interior. 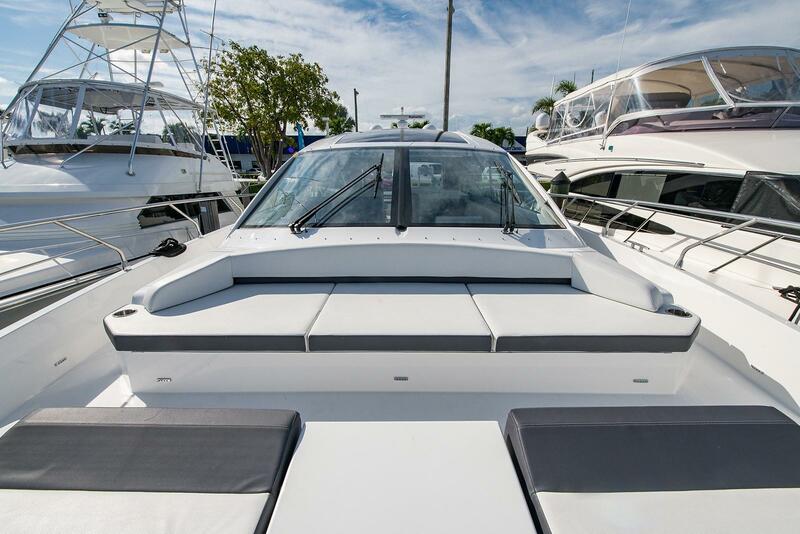 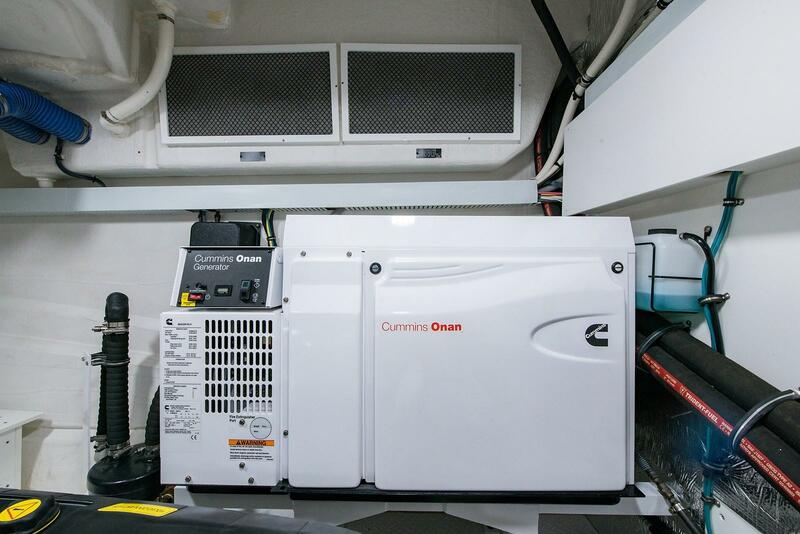 The collaboration has paid off and we expect to sell several of these boats very quickly once they hit the market. 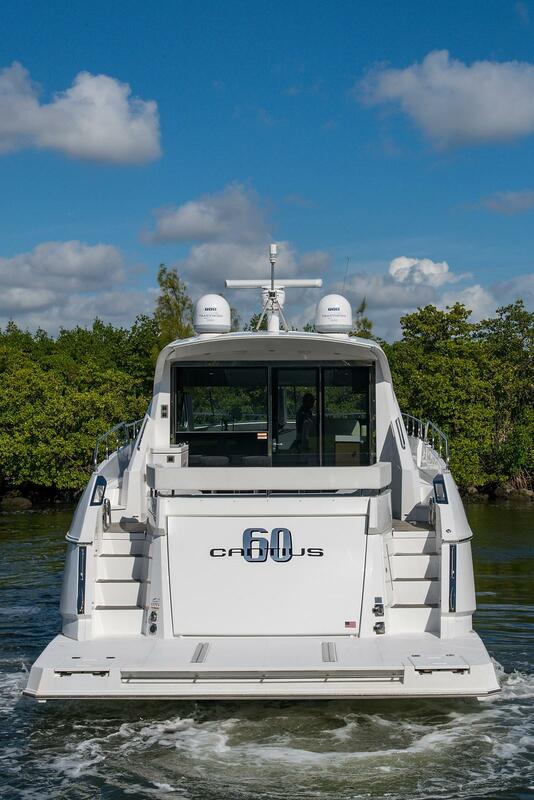 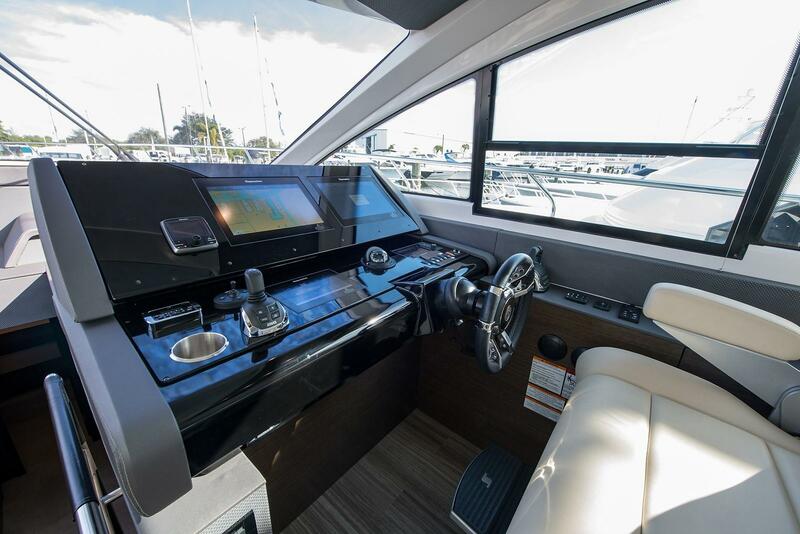 The new Cruisers Yachts 60' Cantius will become the company's flagship boat and will set the standard for vessels in its class for years to come. 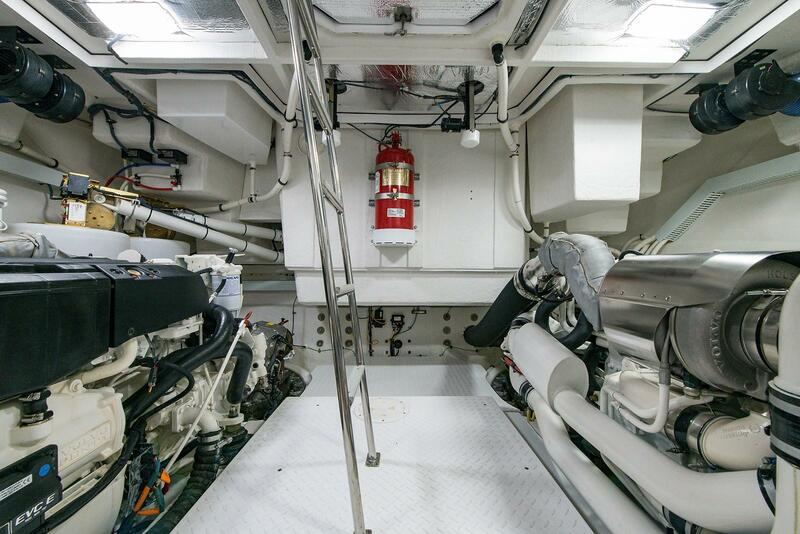 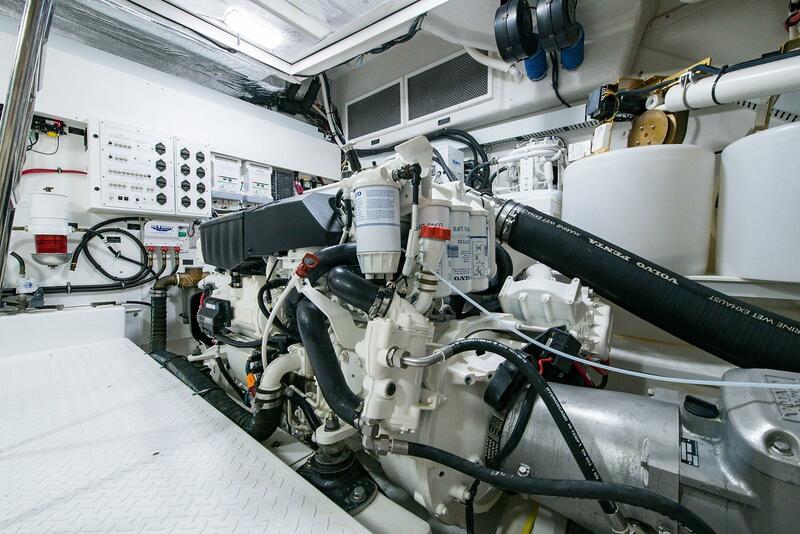 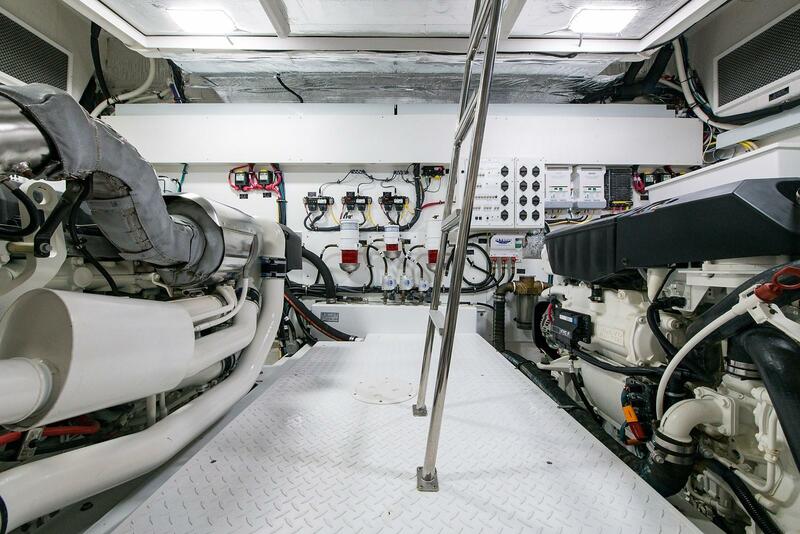 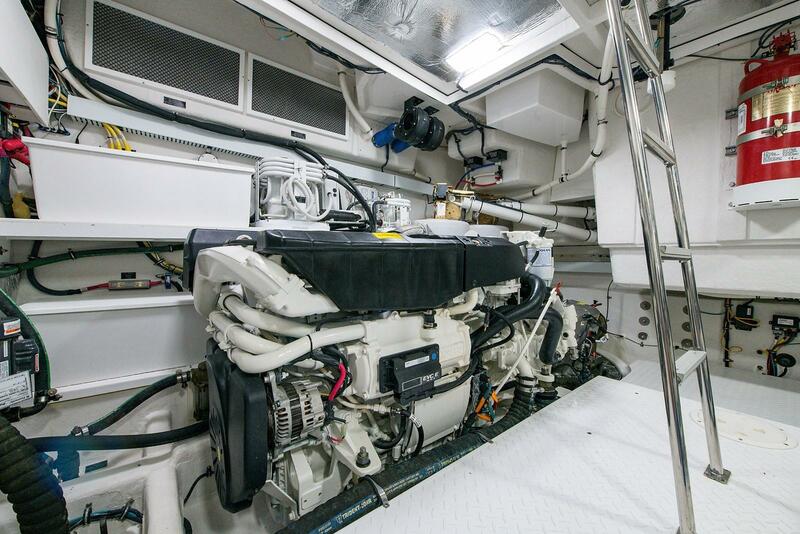 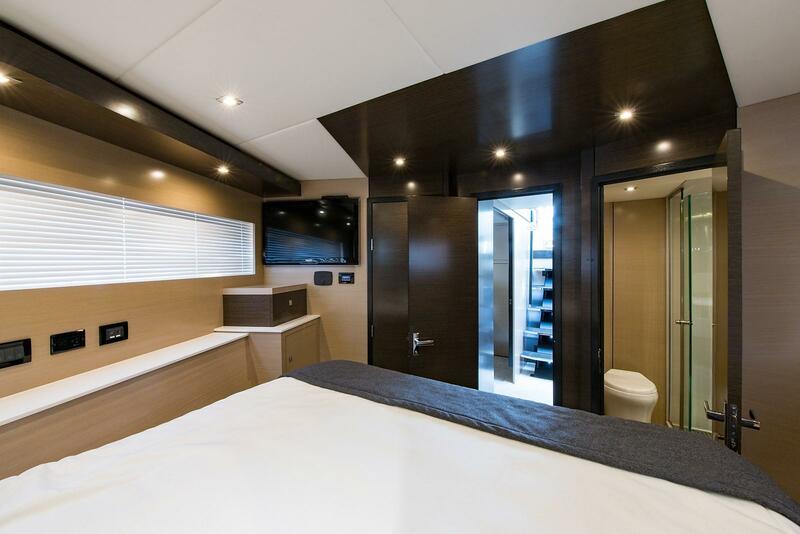 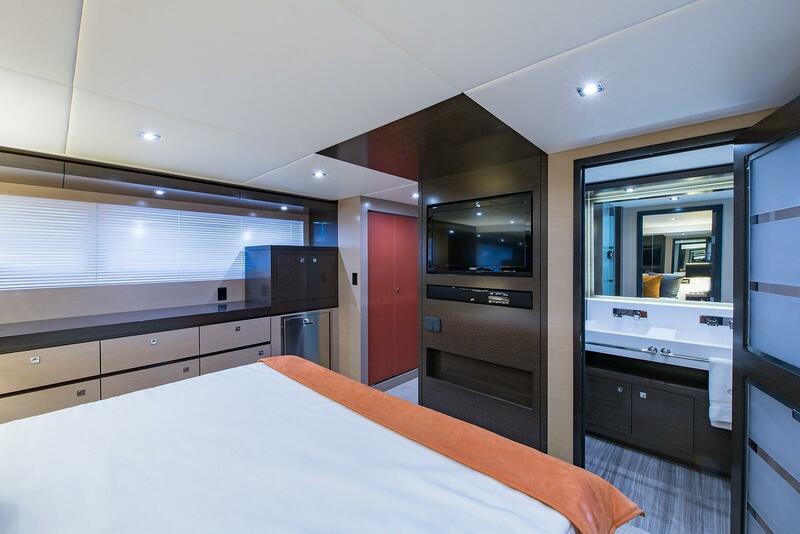 Having the cockpit, galley, salon, and helm on one level gives the boat numerous places to entertain while also allowing the captain to be a part of the fun. 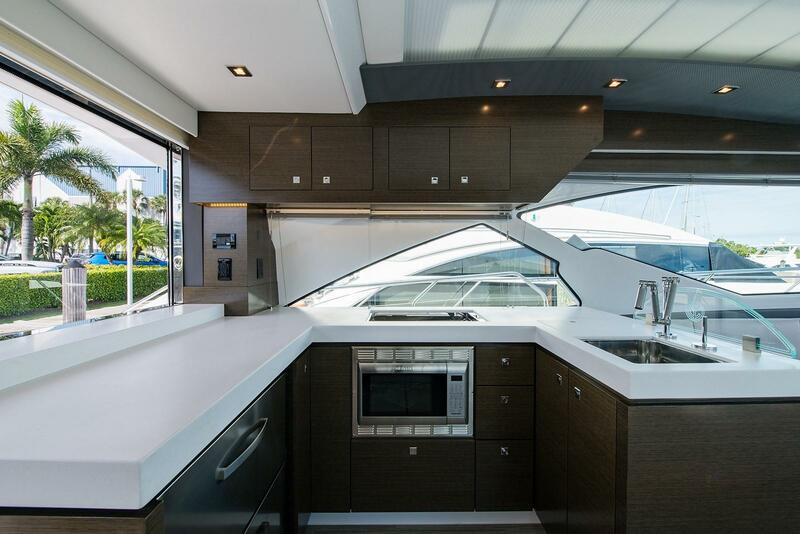 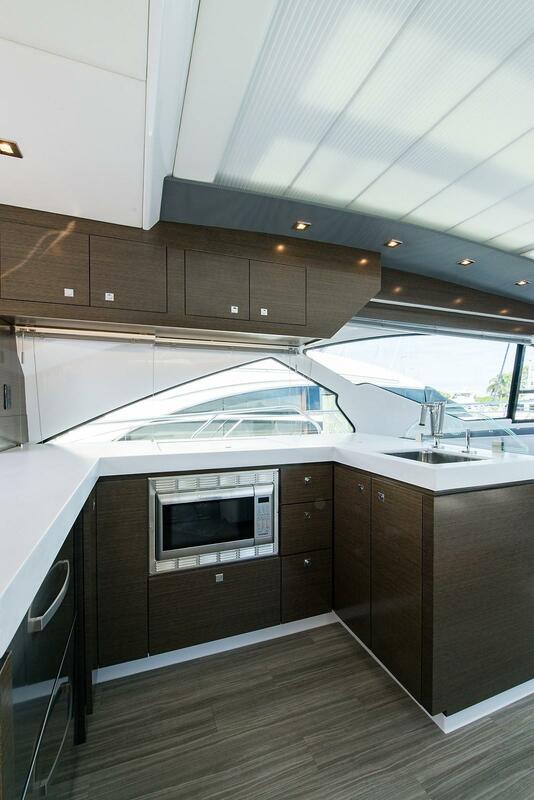 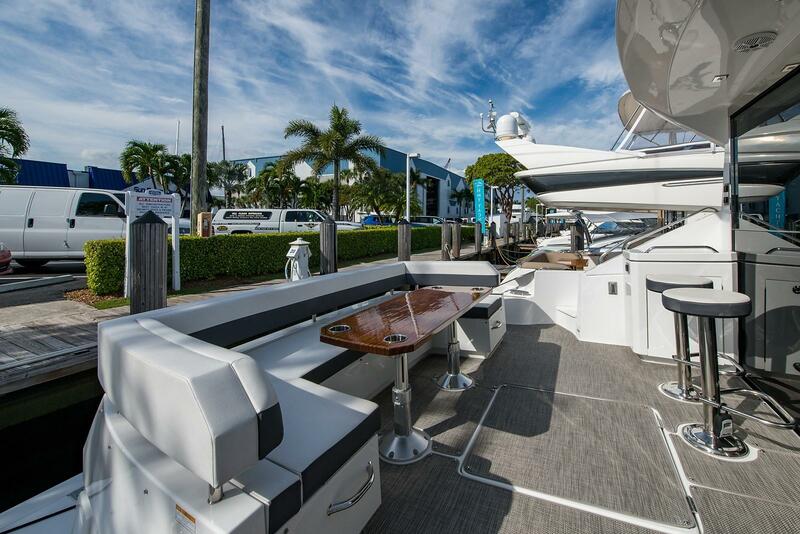 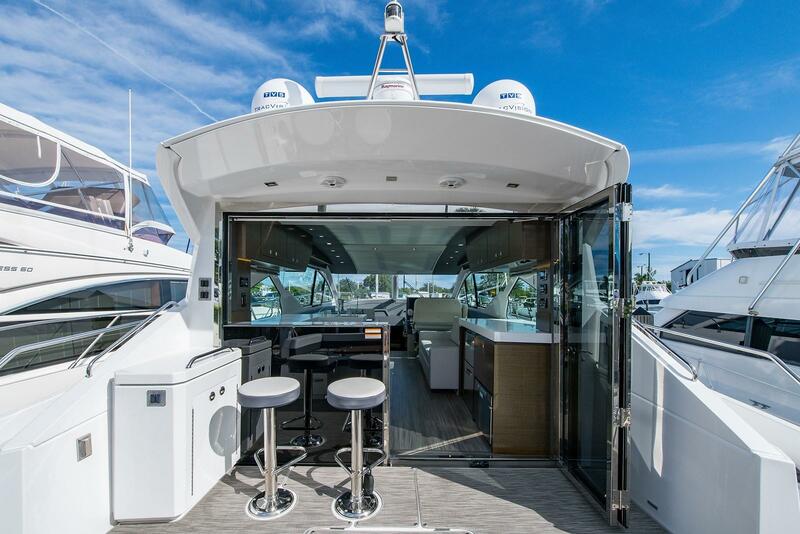 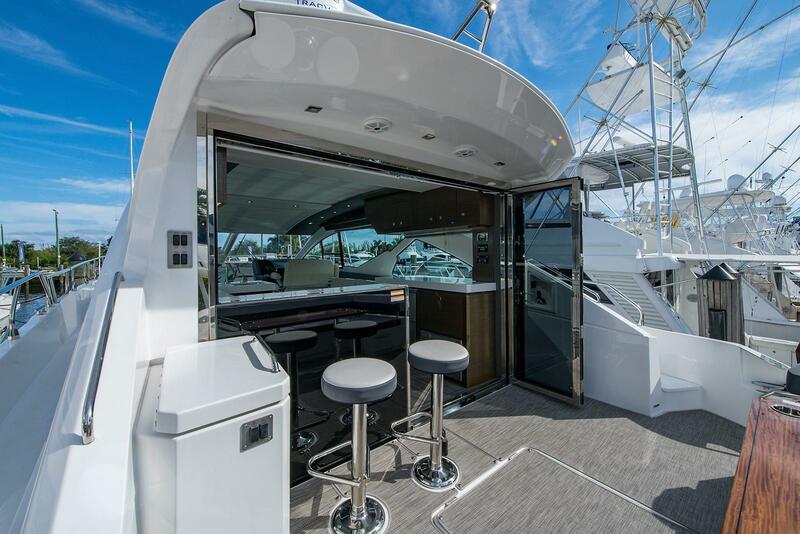 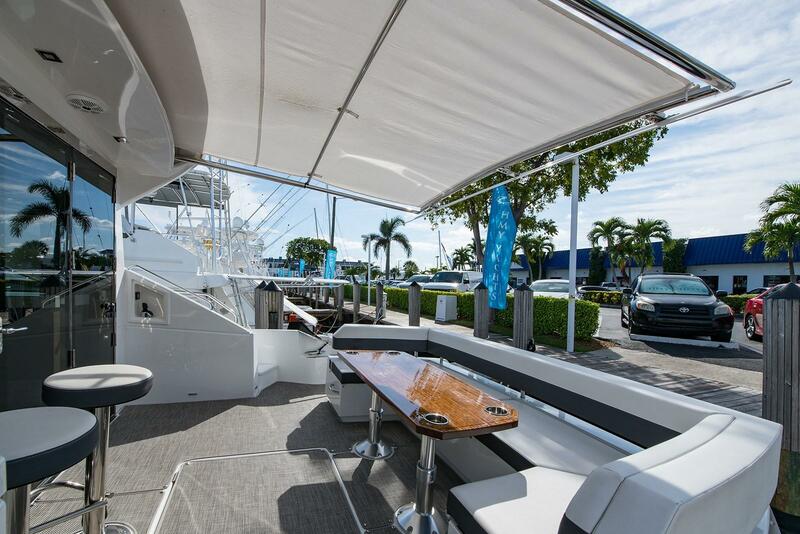 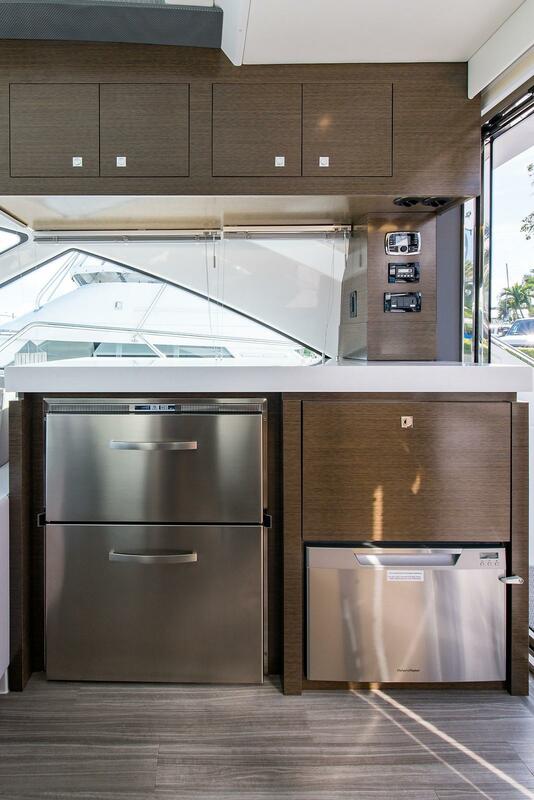 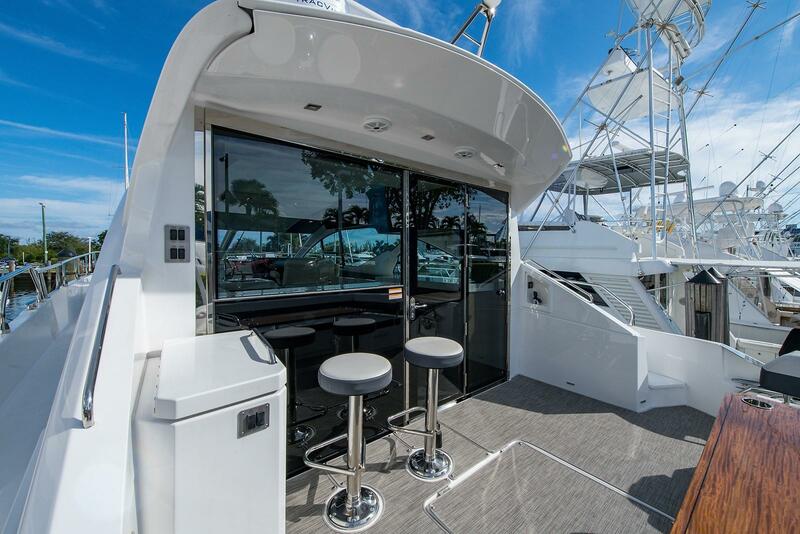 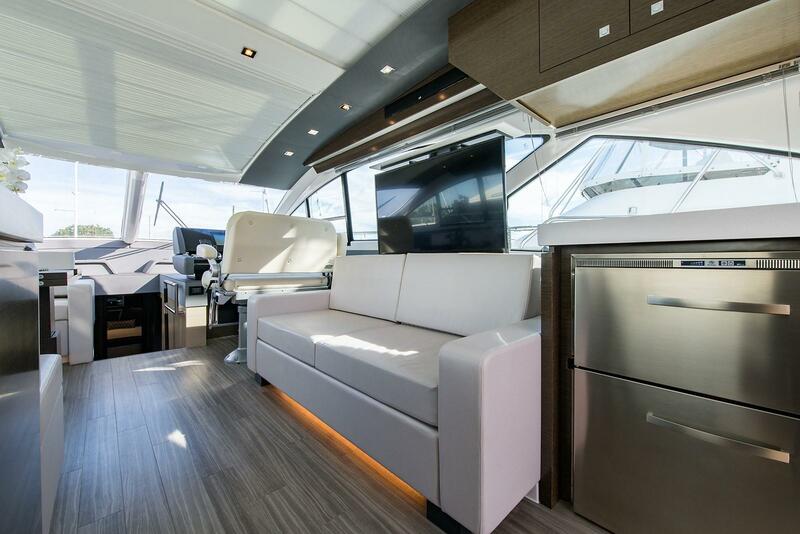 The aft deck has a large seating area complete with a bar and stools, refrigerator, ice maker, sink, stovetop, storage, and much more. 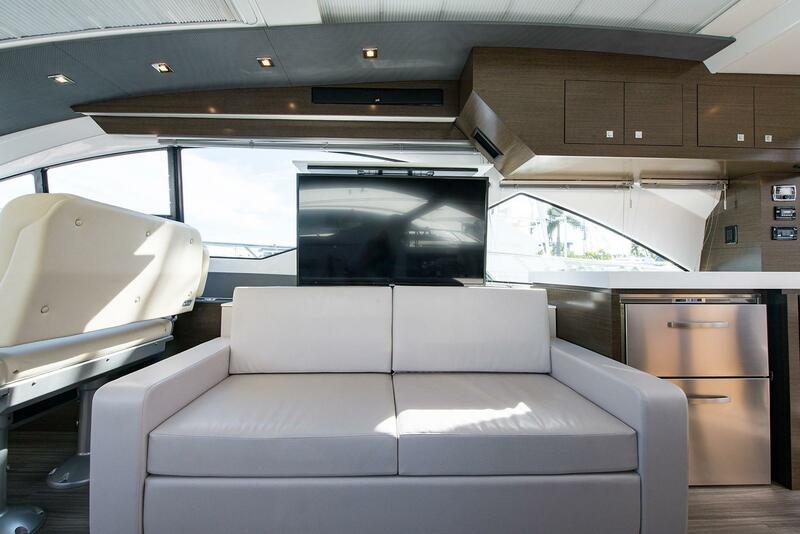 The upper salon offers plenty of seating next to a concealed 50' flat-screen TV that raises out of the cabinetry when in use. 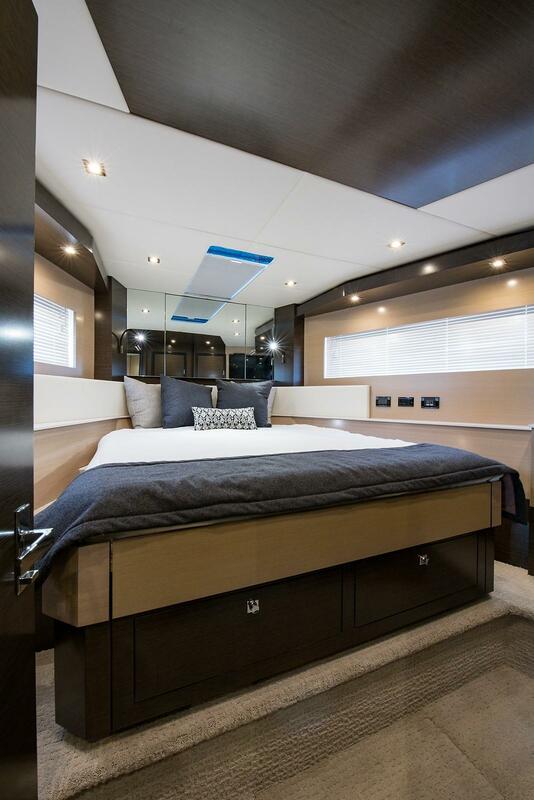 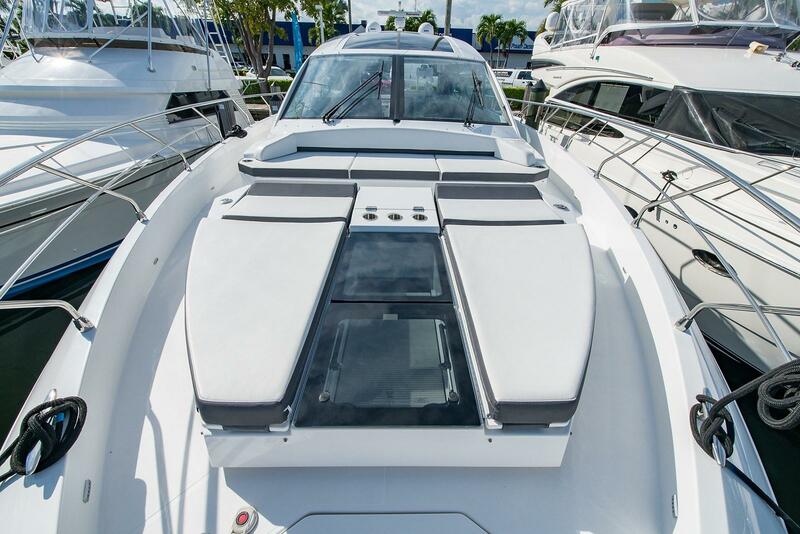 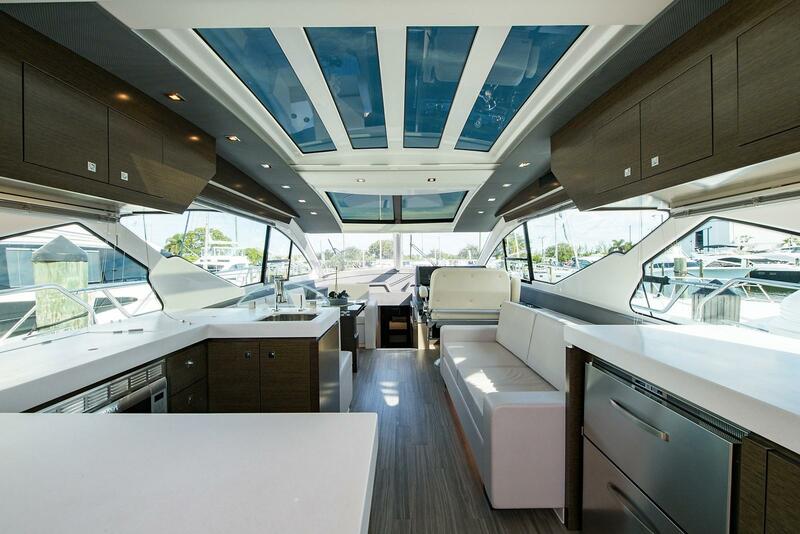 To make those starry nights more perfect, there are operable windows on each side of the boat and a sunroof to let in the Seabreeze. 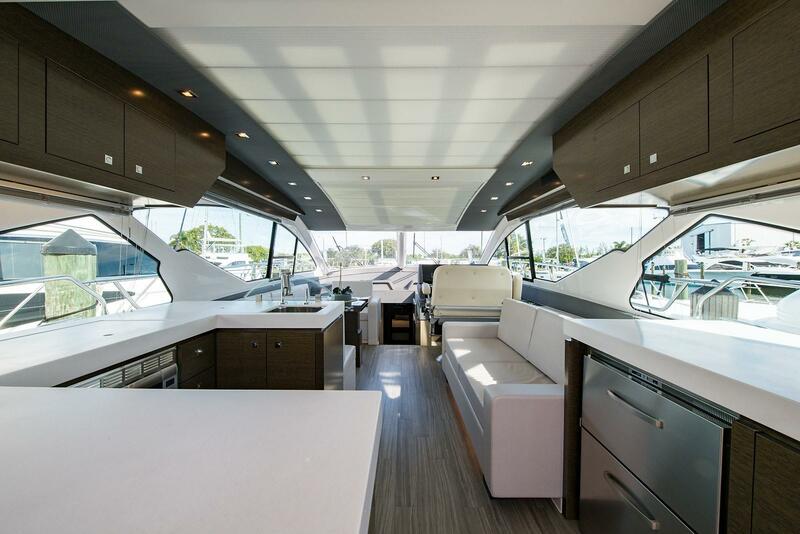 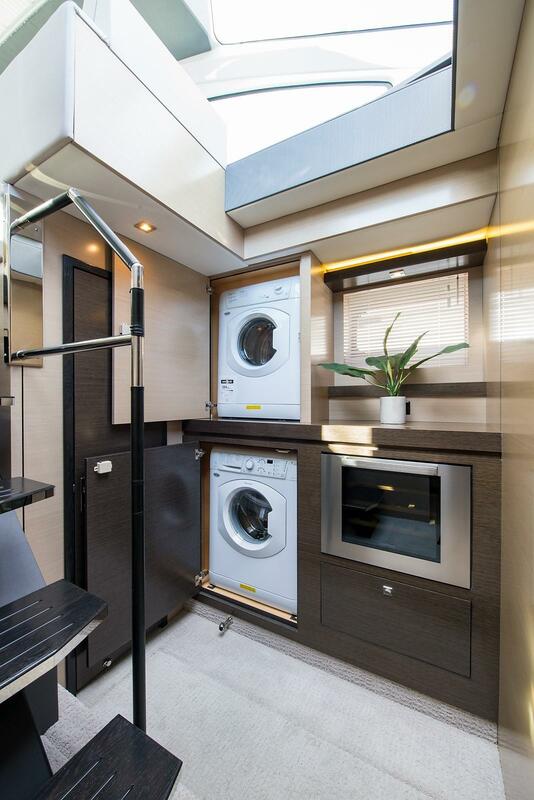 All of the luxuries on the 60 aren't just for the guests, though. 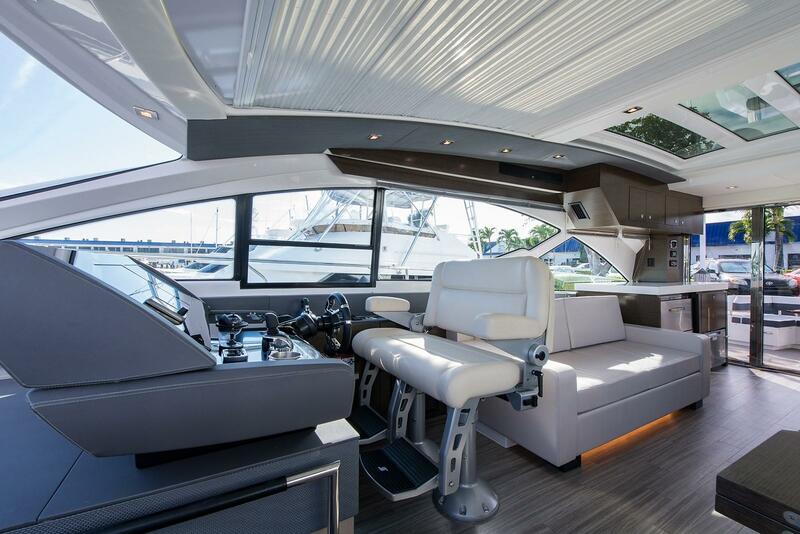 The helm station is equipped with STIDD brand chairs with individual arm rests and flip up bolsters. 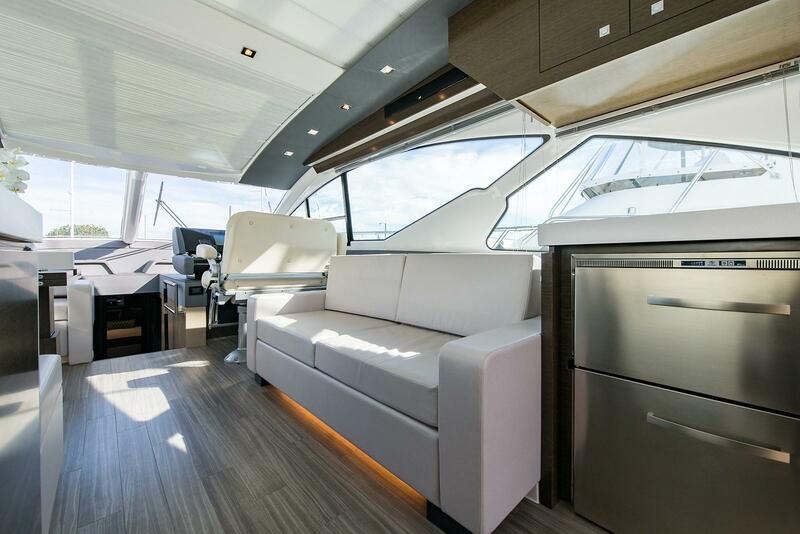 Get ready to rock out as well with an amazing sound system on board including Bluetooth controlled stereos, Polk Audio and three sound bars throughout the yacht. 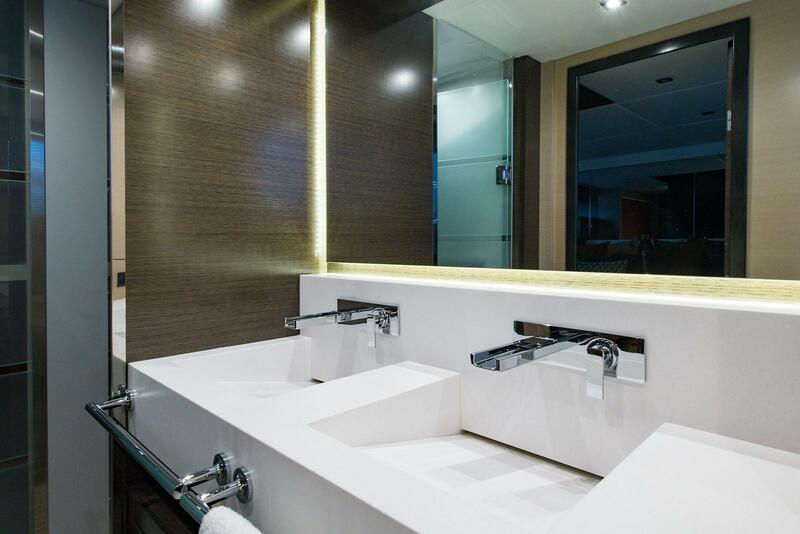 Music and movies are streamed digitally. 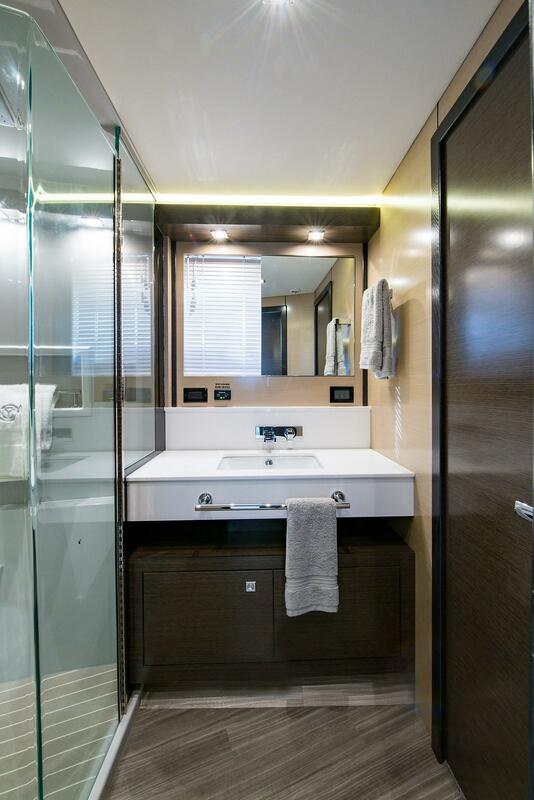 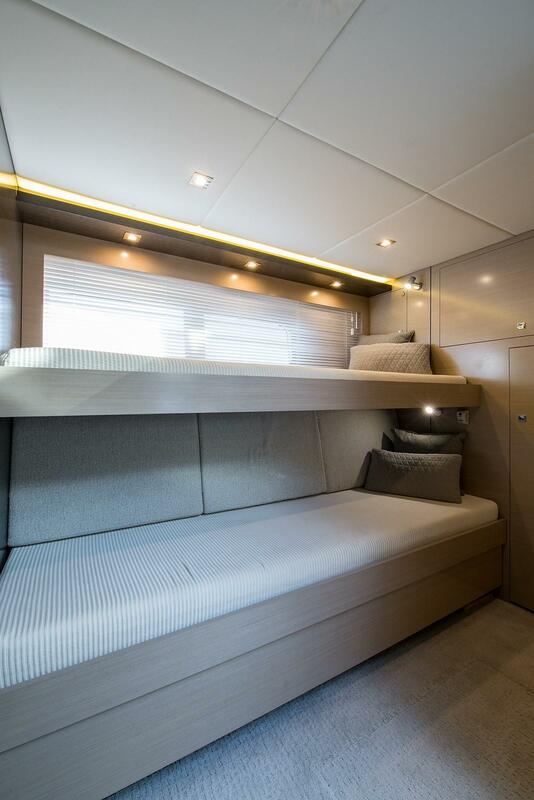 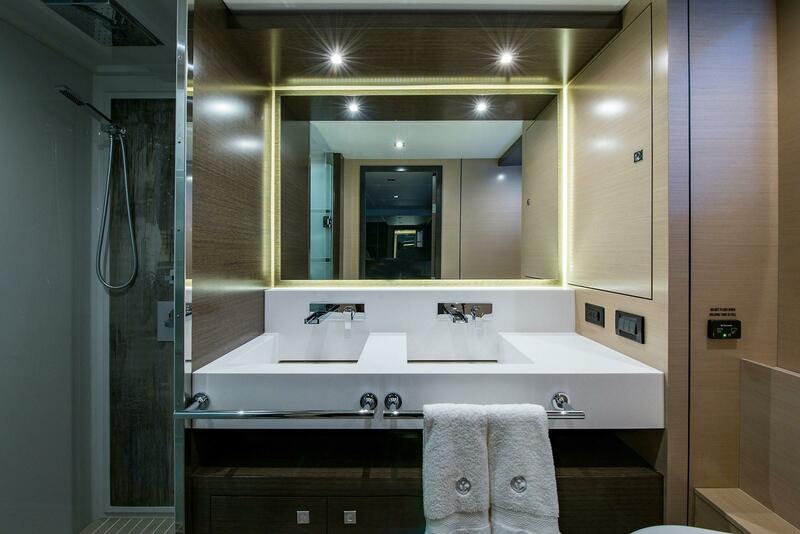 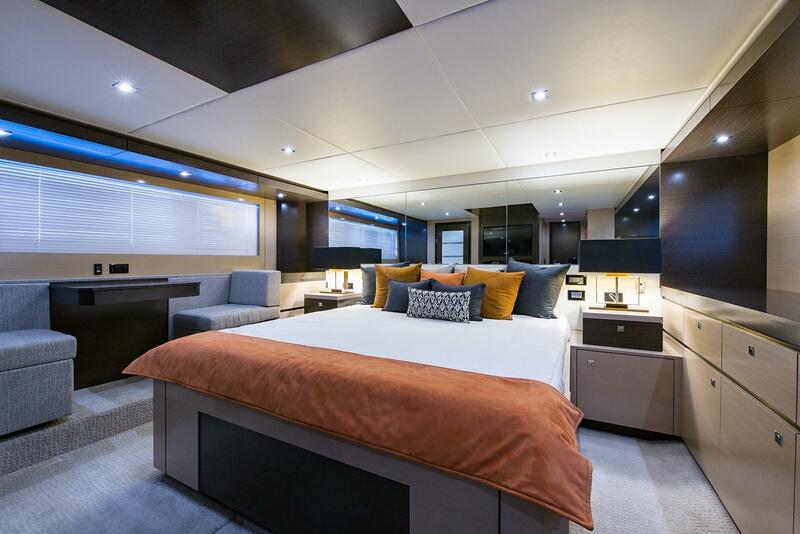 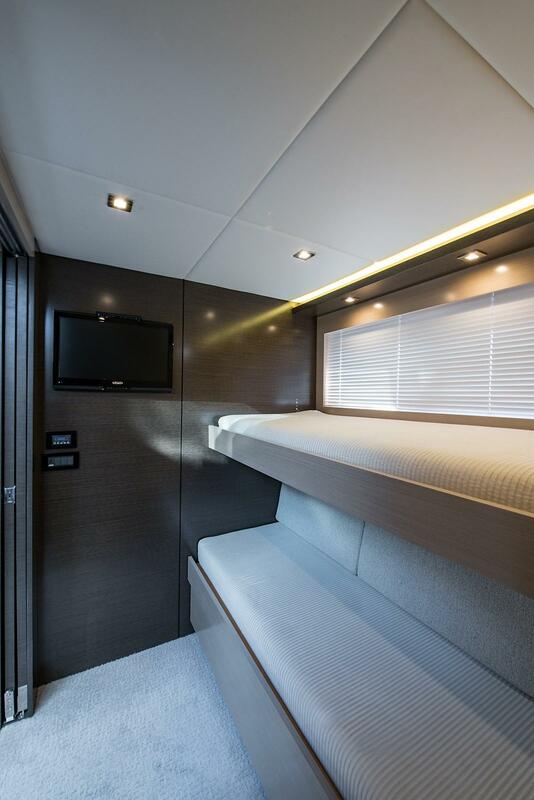 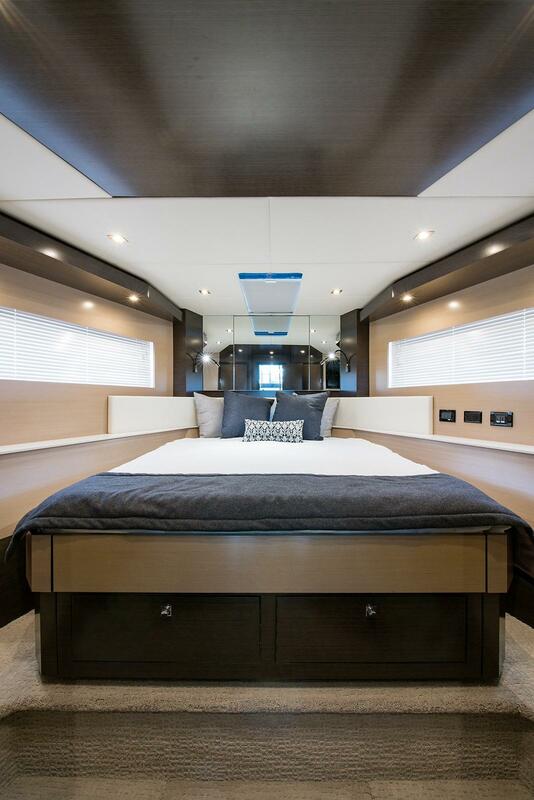 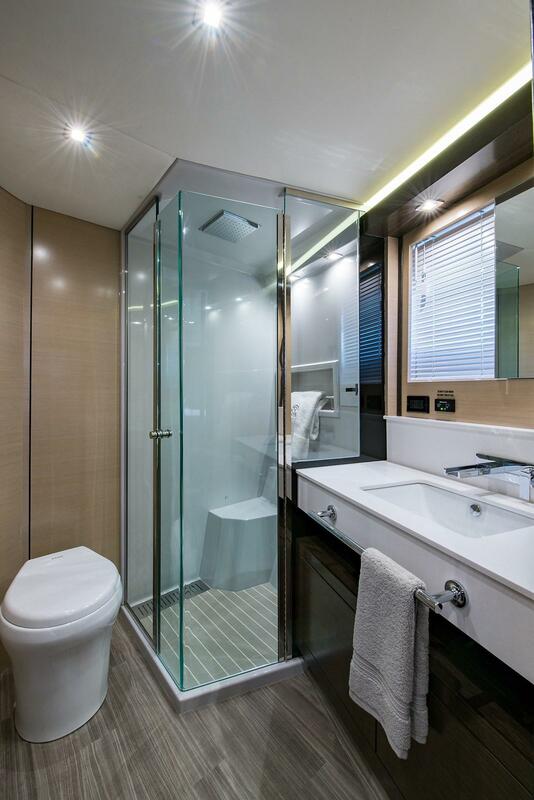 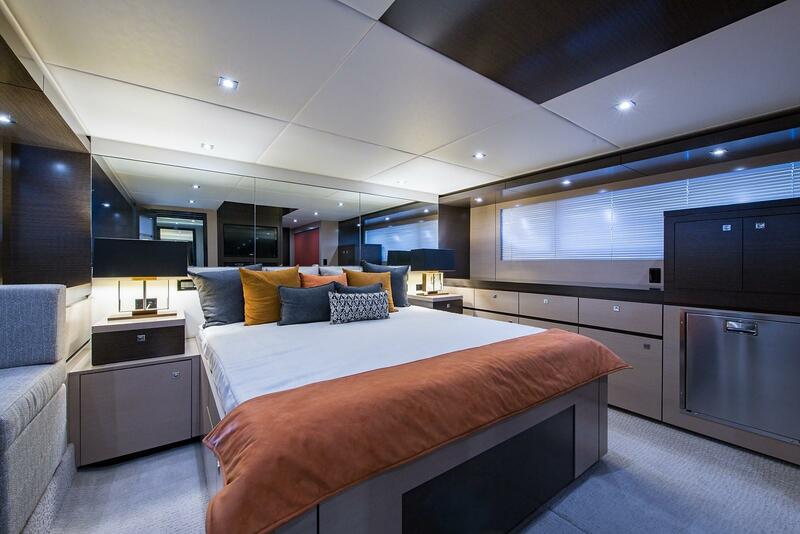 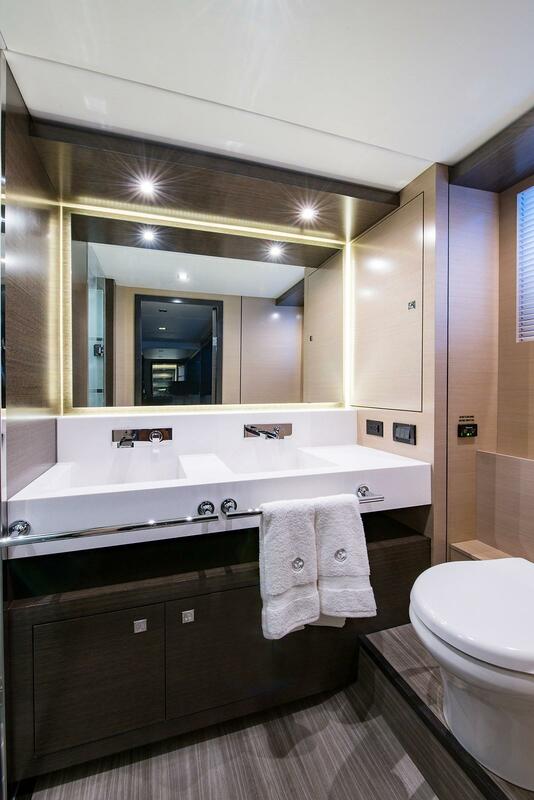 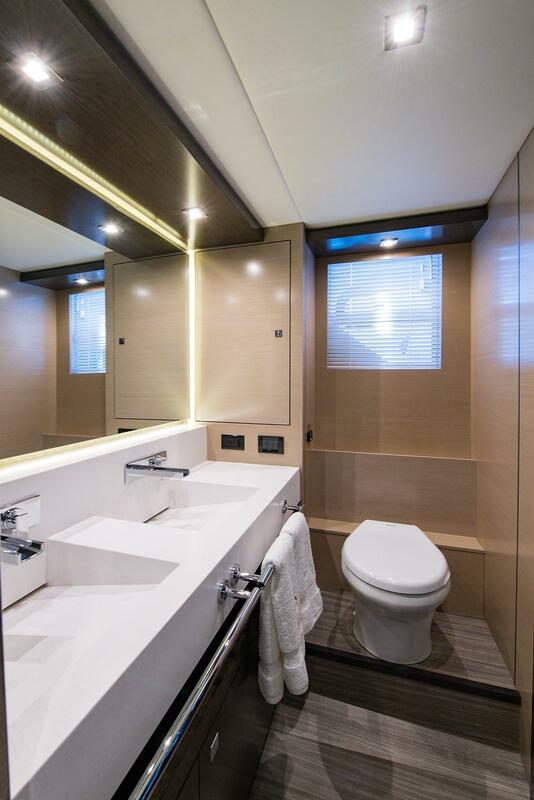 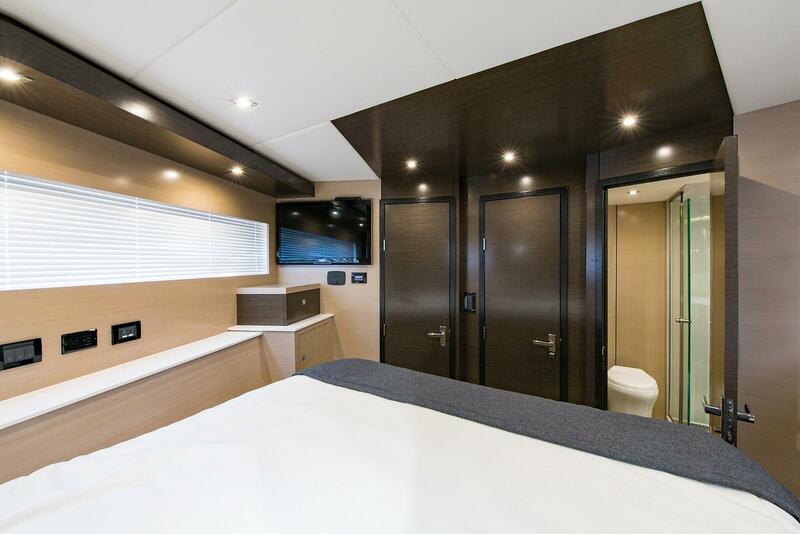 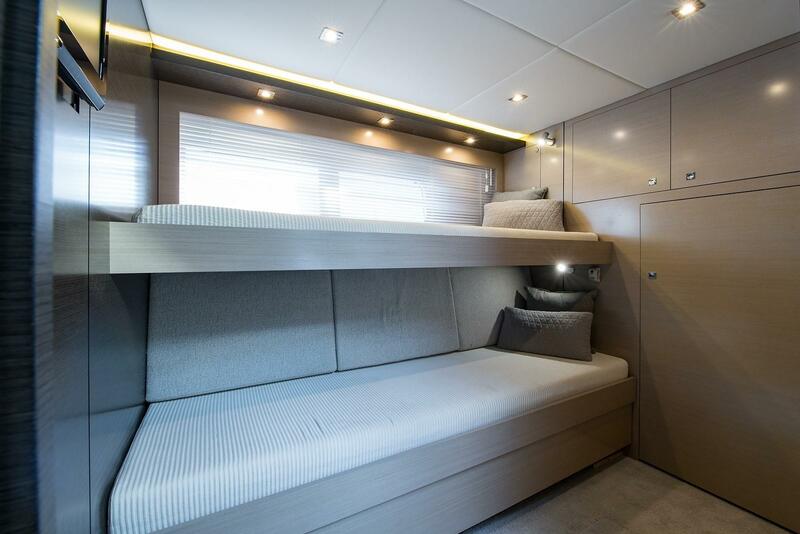 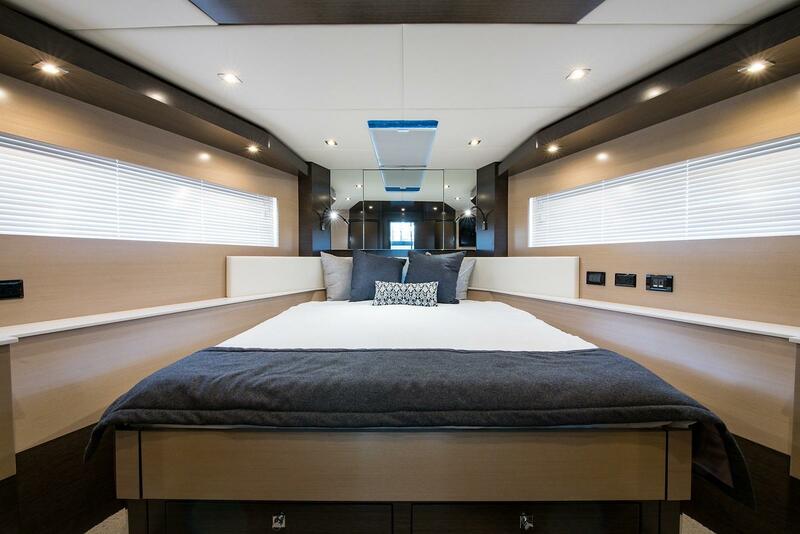 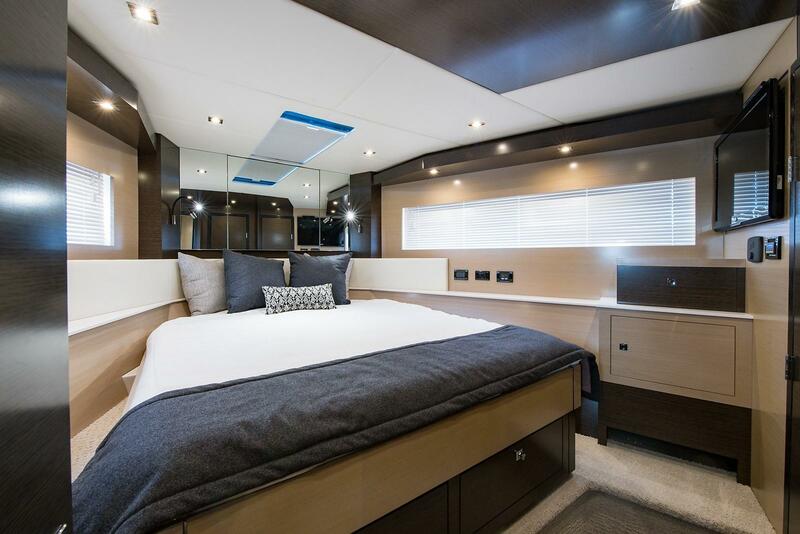 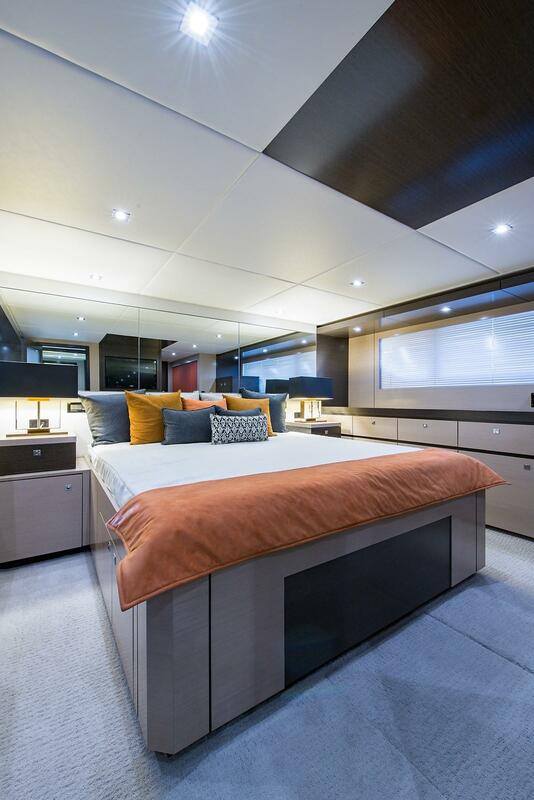 A mid-ship full-beam master stateroom provides a walk around king-size berth and port side a large hanging cedar locker and to starboard a breakfast table with seating on either side. 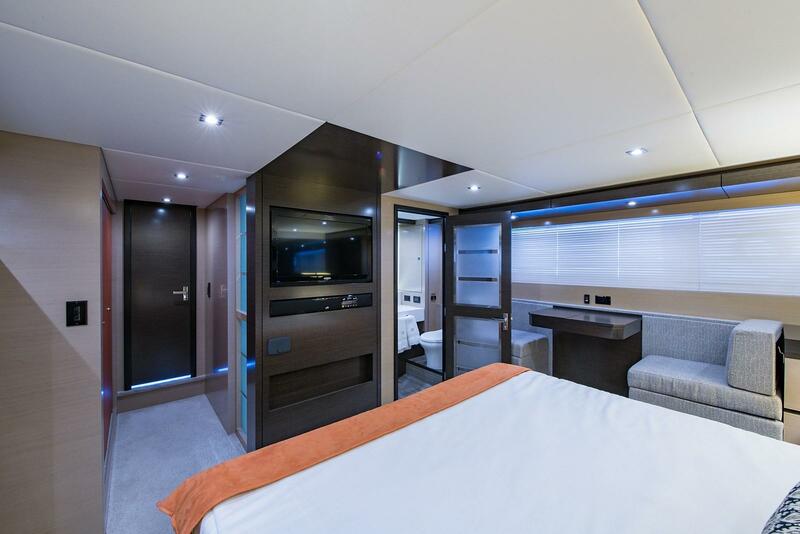 Oversized windows let in the natural light not only in the master stateroom, but throughout the entire accommodations. 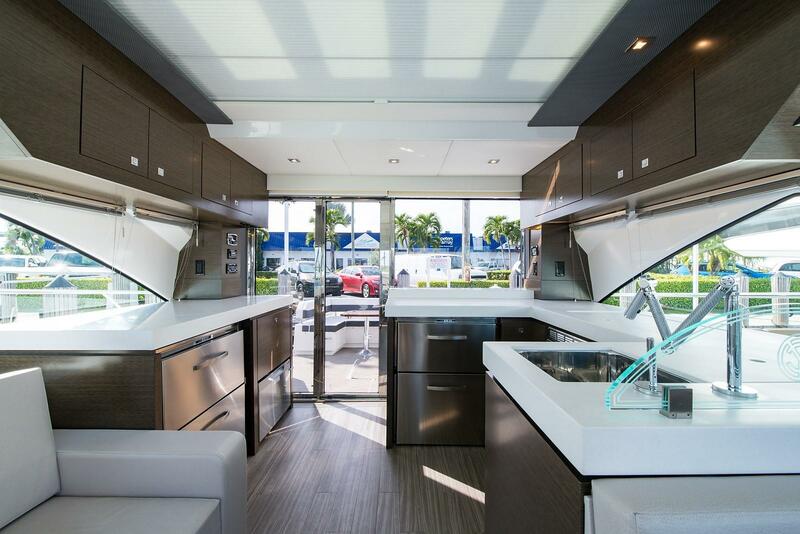 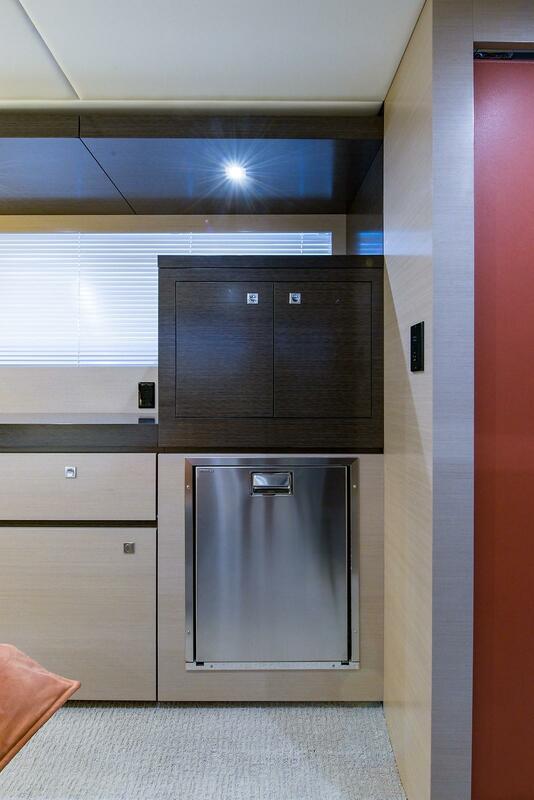 The master head features dual sinks with designer faucets and a large walk-in shower. 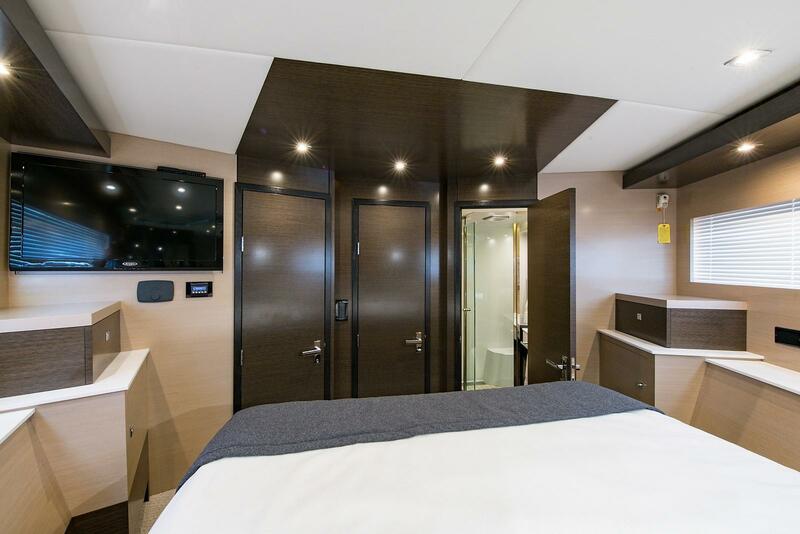 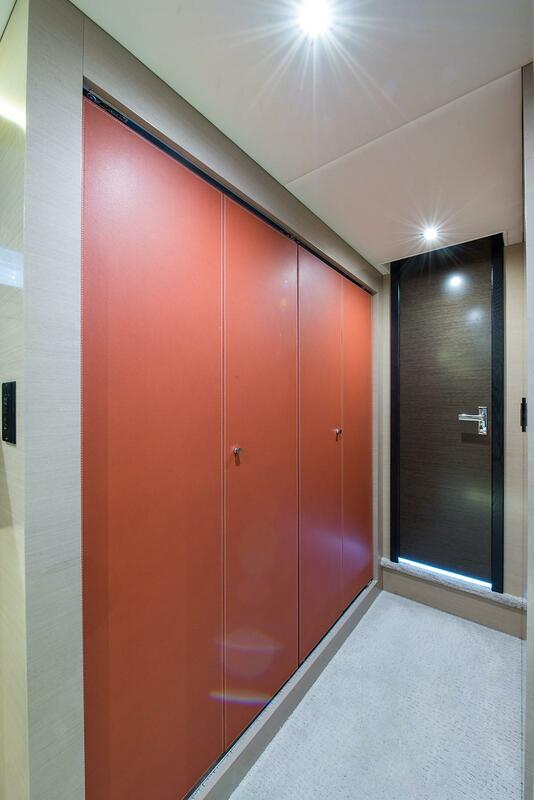 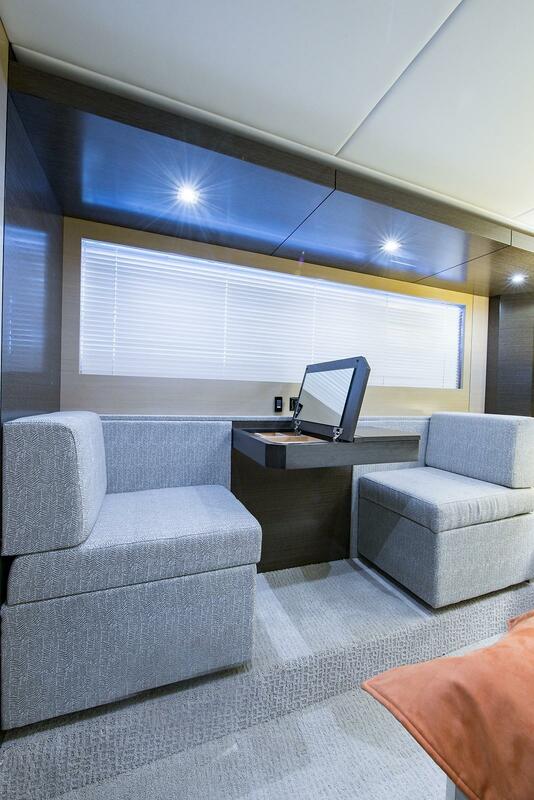 The bow stateroom has a queen-size berth, ample storage space, and a private entrance to a VIP head.